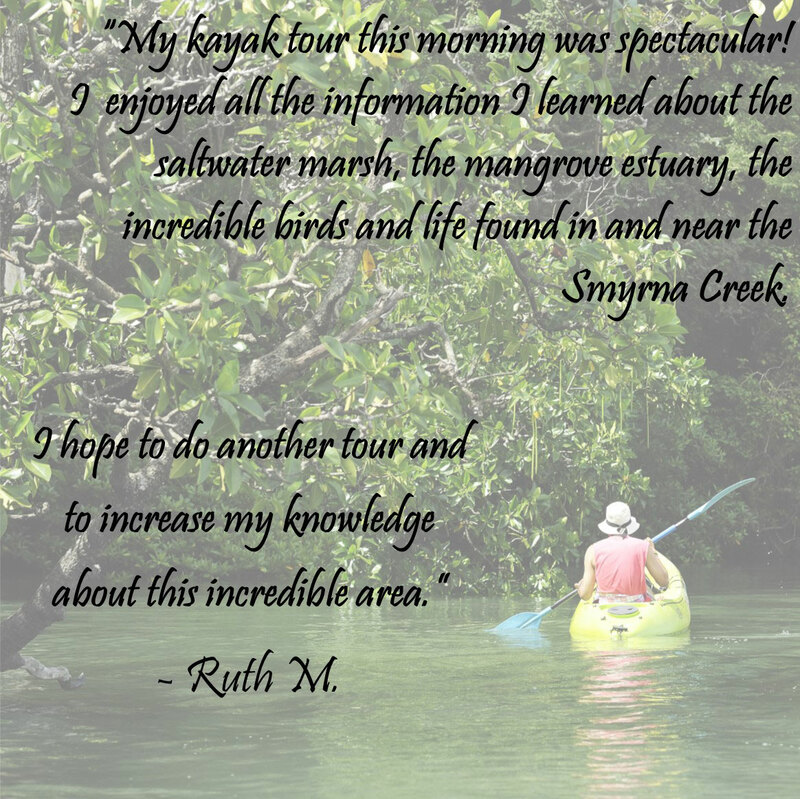 Get to know the Indian River Lagoon as you paddle on our kayak tours offered by the Marine Discovery Center. 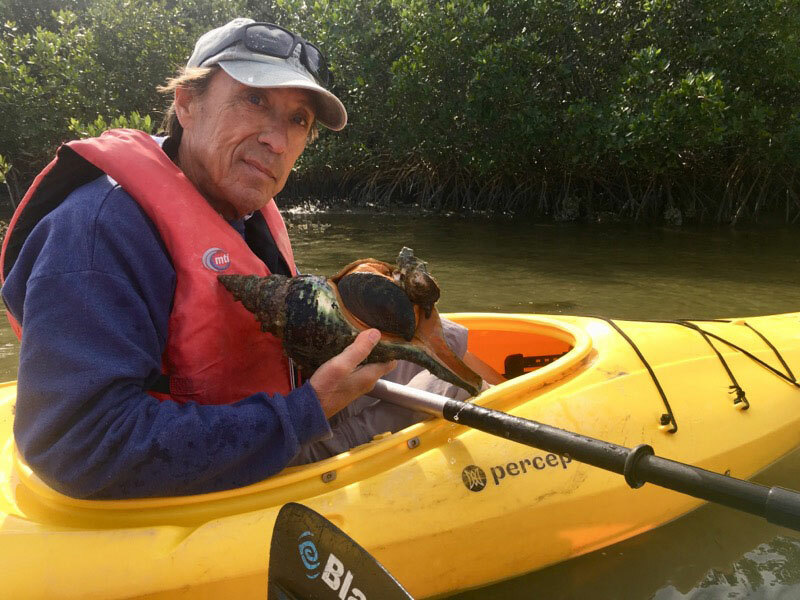 You will learn about the estuary and its many inhabitants while paddling with experienced certified naturalists. 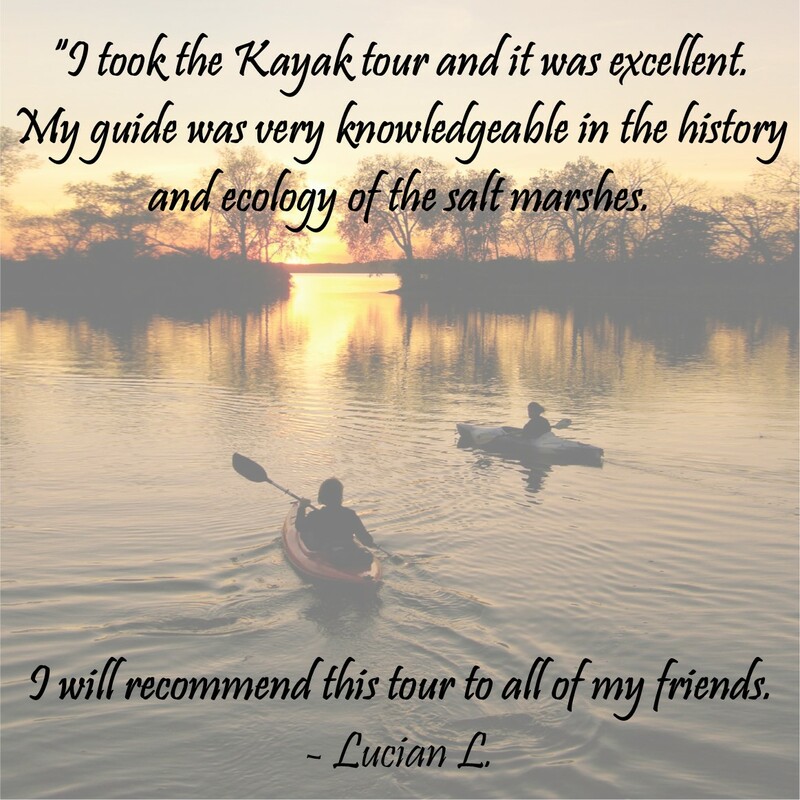 Kayakers of all ages and ability levels may choose from different tours in two locations in our programs. Guests may either bring their own kayaks or use MDC’s boats and equipment. MDC will supply everything you need and the trained guidance to help make this a memorable experience. 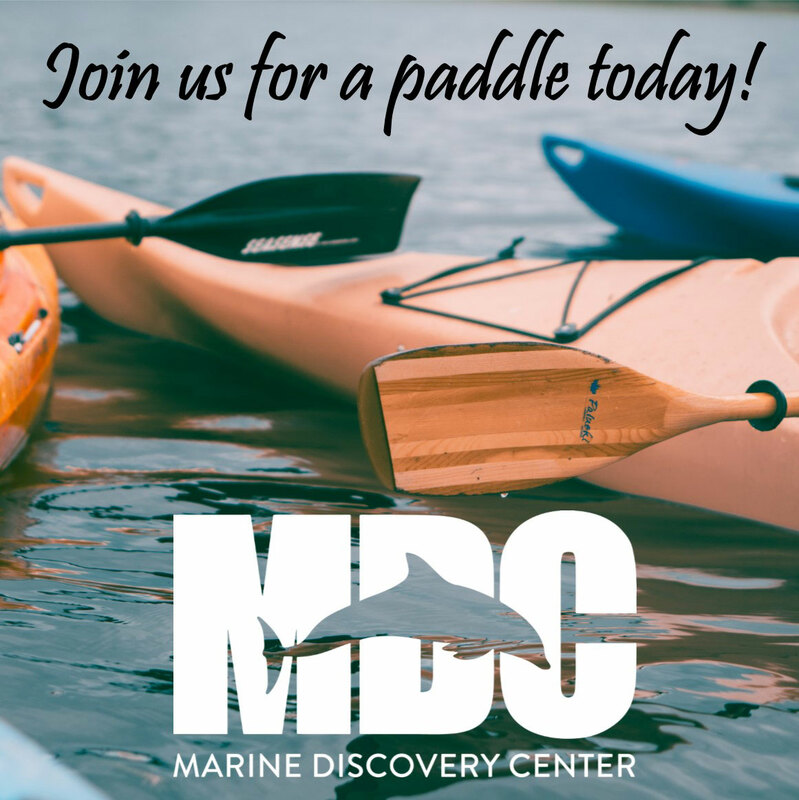 Paddle from MDC through a restored salt marsh and along the lagoon’s backwaters learning about mangrove trees, oyster reefs, wading birds and marine animals from your guide. 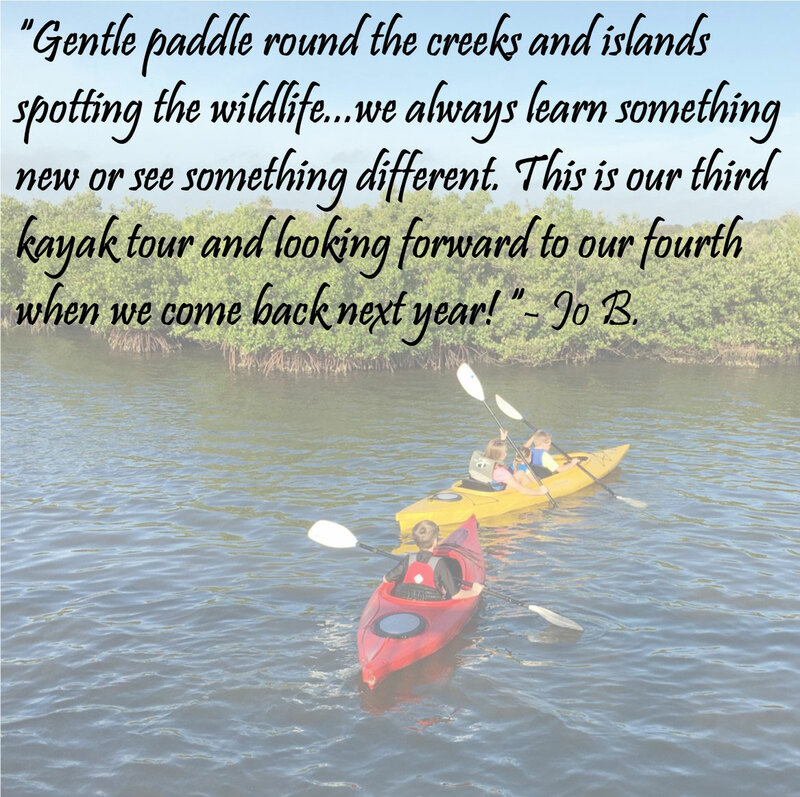 You may paddle to the bird rookery islands to see where our wading birds build their nests each year or hug the mangroves while paddling in the undeveloped backwaters of Smyrna Creek, watching for spectacular avian species loitering in the trees. 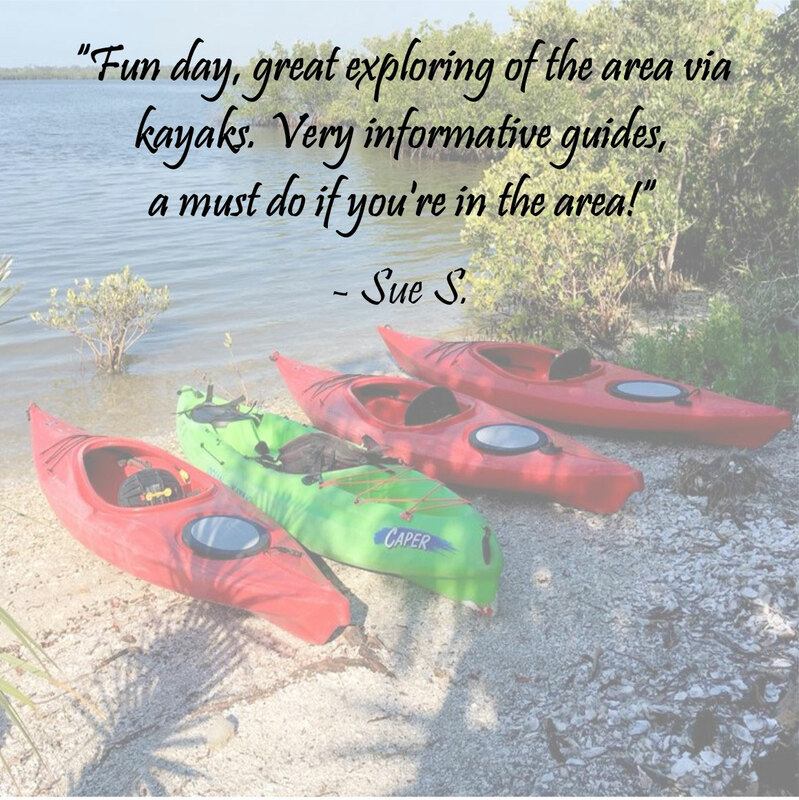 Leave from Indian River Lagoon Preserve Park on Saxon Avenue on a winding paddling trail with your guide through the mangrove forest. You will learn about these tropical trees, as well as the oyster reefs, sand bars, wading birds and marine mammals you may see along the way. This trail was an Eagle Scout project designed for all types of paddling vessels, giving nature lovers a good look at the undeveloped backwaters adjacent to the fishing paradise of Callalisa Creek. When the monthly calendar indicates the presence of a full moon, MDC offers its full moon kayak tours. 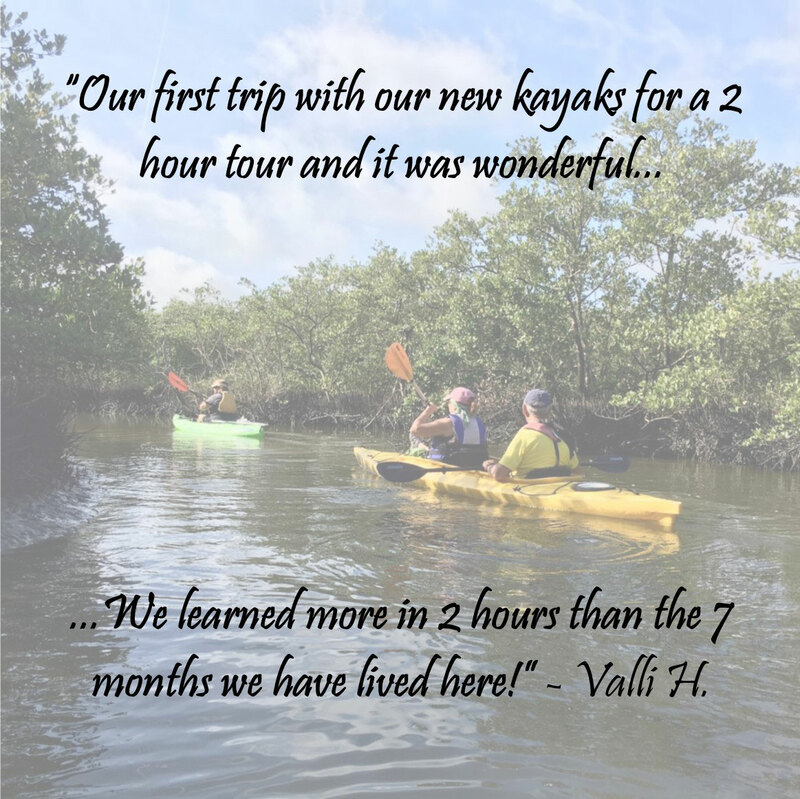 These PM paddles typically give kayakers a chance to watch the colors of stunning sunsets on the waters of the Indian River Lagoon, followed by the thrill of the moon rising over the mangrove trees, reflecting a brilliant path in the water. This is a unique way to experience the estuary as your guide leads you in the twilight. Click the image to download our Spectacular Summer Special coupon!